Khalid Masood, the man responsible for the worst terrorist attack in London in more than a decade, kept to himself in recent years, neighbors say. But he had a checkered past involving a series of aliases and a string of convictions for violence and possession of weapons. LONDON (Reuters) – The man who mowed down pedestrians on London’s Westminster Bridge before killing a police officer outside Britain’s parliament last year had taken steroids beforehand, a London court heard on Monday. 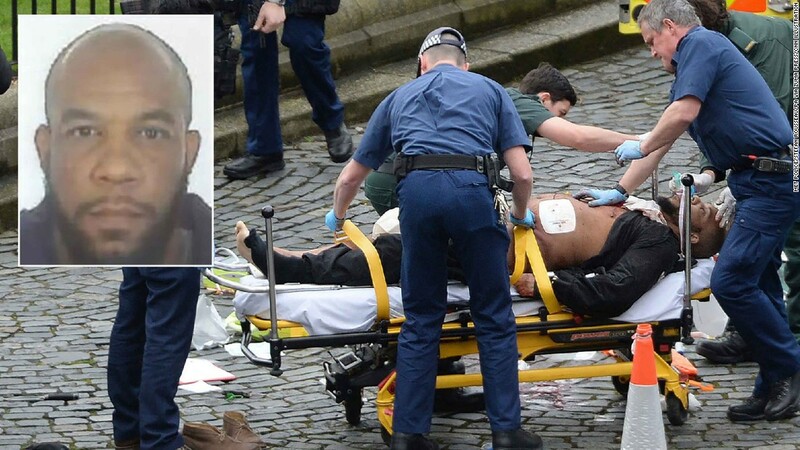 Last March Khalid Masood, 52, killed four people on the bridge before, armed with two carving knives, he stabbed to death an unarmed police officer in the grounds of parliament. He was shot dead at the scene. It was the first of five attacks on Britain last year which police blamed on terrorism. A submission to a pre-inquest hearing into the fatalities at London’s Old Bailey Court said there was evidence that Masood had taken anabolic steroids in the hours or days before his death. “A more specialist pharmaceutical toxicologist … has been instructed to prepare a report addressing how steroid use may have affected Khalid Masood,” the submission by the inquiry’s lawyer Jonathan Hough said. The hearing also heard from Gareth Patterson, a lawyer representing relatives of four of the victims, who lambasted tech firms over their stance on encryption and failing to remove radicalizing material from websites. Patterson said families wanted answers about how Masood, who was known to the UK security service MI5, was radicalized and why shortly before his attack, he was able to share an extremist document via WhatsApp. He said victims’ relatives could not understand “why it is that radicalizing material continues to be freely available on the internet”. “We do not understand why it’s necessary for WhatsApp, Telegram and these sort of media applications to have end-to-end encryption,” he told the hearing at London’s Old Bailey court. Patterson told Reuters following the hearing that he was “fed up” of prosecuting terrorism cases which featured encryption and particularly the WhatsApp messaging service. “How many times do we have to have this?” he said. The British government has been pressurizing companies to do more to remove extremist content and rein in encryption which they say allows terrorists and criminals to communicate without being monitored by police and spies, while also making it hard for the authorities to track them down. However, it has met quiet resistance from tech leaders like Facebook, Google and Twitter and critics say ending encryption will weaken security for legitimate actions and open a back door for government snooping. Samantha Leek, the British government’s lawyer, said the issues over encryption and radicalization were a matter of public policy and too wide for an inquest to consider. Police say Masood had planned and carried out his attack alone, despite claims of responsibility from Islamic State, although a report in December confirmed he was known to MI5 for associating with extremists, particularly between 2010 and 2012, but not considered a threat. Coroner Mark Lucraft said the inquest, which will begin in September, would seek to answer “obvious and understandable questions” the families might have.